As any reader of Franz Kafka will know – defending yourself against undisclosed accusations can be a maddening affair. 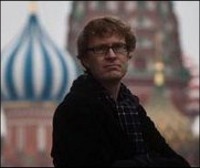 When the Guardian’s Moscow correspondent Luke Harding was deported from Russia last month, his editor called it “a bad omen” for press freedoms, describing it as the first such case since the end of the cold war. Yet, as many observers have pointed out, Harding merely joined a long list of foreigners who have found themselves on the Kremlin’s bad side. An omen this was not - the ban system for journalists and human rights defenders in the Commonwealth of Independent States (CIS) is very much a thing of the present. In this particular case, Russian authorities quickly changed their opinion of Mr. Harding, welcoming his return – most likely because of the awkwardness it would lend to their Foreign Minister’s visit to the UK the following week. Yet, there are at least 50 similar cases from the CIS over the past five or six years, and most of those unfortunate enough to join this ever-expanding list do not have the backing of a major international newspaper. Let it be said straight away that foreign journalists in Russia enjoy excellent working conditions compared to their local colleagues, who sometimes pay the highest price possible for their commitment. The inconvenience and frustration felt by deported journalists can by no means compare. Still, this trend should be taken most seriously. In a recent report, the Norwegian Helsinki Committee sought to shed some light on the elusive practice. We documented bans imposed on journalists and human rights defenders from Germany, Poland, Sweden, Finland, the UK, Norway, Japan and the United States, but to name a few. Common to all is that they were barred from entry as a result of their professional activities. The bans are imposed for periods of five to ten years and have proven near impossible to remove once in place, in spite of repeated appeals on the highest diplomatic levels. The actual number of banned individuals is likely to be much higher, as many are wary of going public. At the puzzling core of the matter lies the practice of Russian security services of not providing any reasoning for such drastic decisions. Most likely, because they know perfectly well that they are in complete breach of international norms, and because citing a reason would enable the individual deported to contest the matter. Certainly, people can be deported from the European Union as well. But Russian security services deport and deny entry without any kind of explanation as to why. The “widespread international practice” typically referred to by Russian authorities when commenting officially on such cases is a reference to common practice in other CIS member states, rather than to any recognized practice in the West. Secondly, the development of international computerized databases means that completely unreasonable decisions by security services in one country may multiply manifold down the line. There are two international blacklists functioning in the former Soviet Union today. One is a co-operation between Russia and Belarus, which ensures that a ban in one of the two countries automatically spreads to the other. The second database is called the Joint System, and has been functioning since around 2004. While this list is used more sporadically, the effect is all the more devastating once you do get on it. The system functions in six states: Russia, Belarus, Armenia, Kazakhstan, Kyrgyzstan and Tajikistan, and can cause a journalist to be banned instantly in all six. Several such cases are described in our report. A notable positive step was taken by Kyrgyzstan after the April 2010 revolution, when authorities published a list of ten individuals whose entry bans were to be removed. Apart from journalists, it also included representatives of such organizations as International Crisis Group, Human Rights Center Memorial, Norwegian Helsinki Committee and the European Commission. Numerous cases have been raised by individual Western governments, but a systematic approach to the problem is still lacking. A few cases have been raised in the Permanent Council of the OSCE, some by the UN Special Rapporteur for Human Rights Defenders. However, bringing the matter to these levels depends entirely on the efforts the individual in question is prepared to devote to it. The international community should set up a permanent mechanism through which such cases can be raised effectively. Ironically, two days prior to Mr. Harding’s deportation from Moscow, Russian Foreign Minister Sergey Lavrov stated that visa-free travel between Russia and the European Union was “long past overdue” and expressed hopes that the matter would not just “sit and spin its wheels”. The EU should make it clear to Russia that the Kafkaesque habit of deporting journalists for no good reason is unlikely to help the process move forward.